Use existing PHP functions and extensions in your applications: graphics, encryption, XML, PDF, Zip, charts, databases, printer, and much more. AJAX and jQuery are supported too. 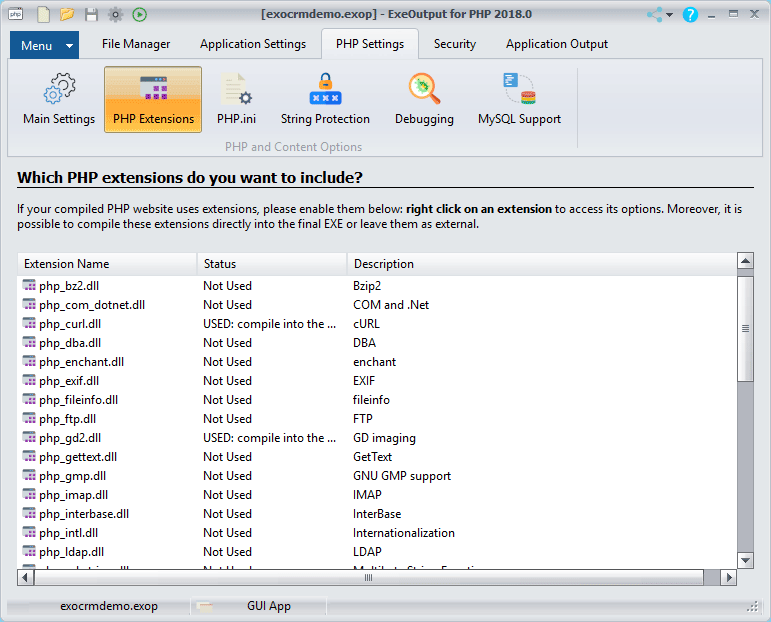 Basic PHP extensions such as libsodium, php_gd2, php_mysql, cURL, OpenSSL... are supported by ExeOutput for PHP and may be embedded inside the EXE too and automatically loaded. ExeOutput for PHP takes care of PHP extensions itself: no need to edit PHP.INI. ExeOutput for PHP supports PHP's OPCache to speed up execution of PHP scripts. Use the same PHP code online and offline. 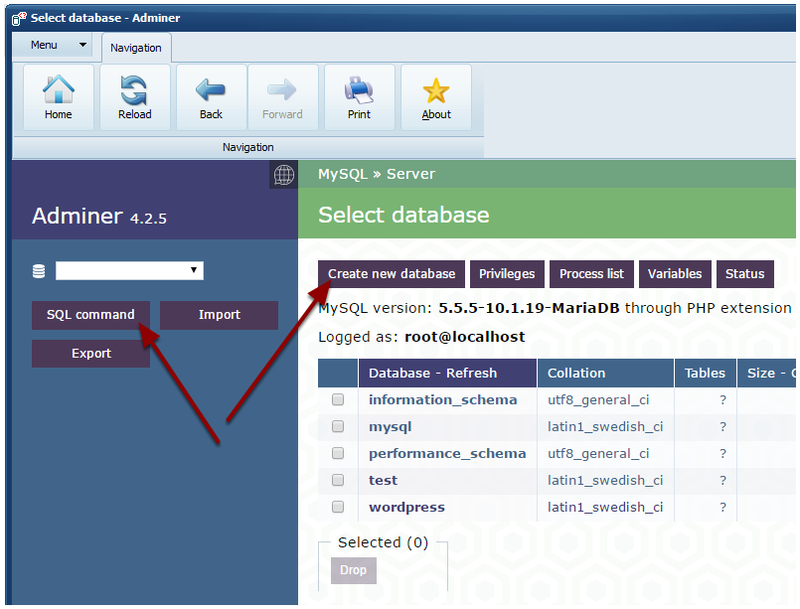 Database engines such as SQLite, MySQL, and so on are successfully handled by the PHP engine. You may also have your applications connect to remote database servers and act as front-end applications. PhpMyAdmin and Adminer can also be run with ExeOutput for PHP. ExeOutput for PHP has a built-in PHP.INI editor with syntax highlighting and search feature. 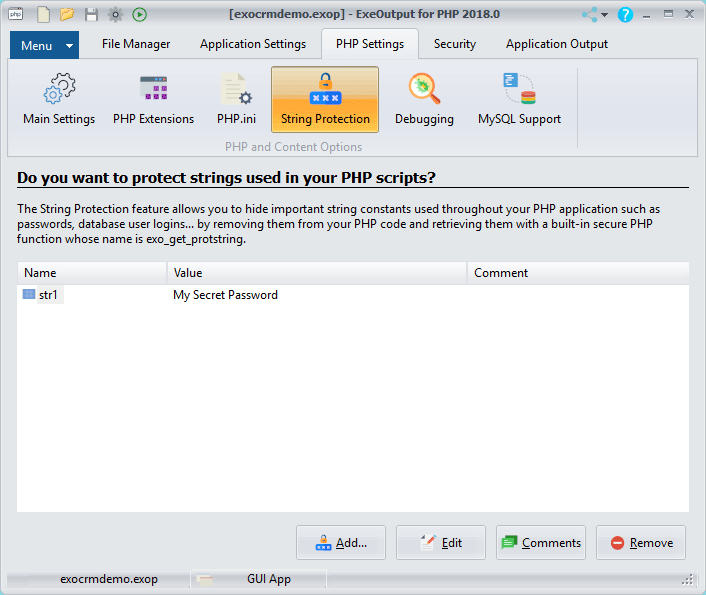 To protect your sensitive strings in PHP code, ExeOutput for PHP includes a string protection feature: it allows you to hide string constants used throughout your application by replacing them in your PHP code by a call to a custom PHP function. Thus, strings do not appear in plain text in your PHP code and in memory.